Hume City host Dandenong Thunder at ABD Stadium tonight, coming off the back of a disappointing loss away to South Melbourne last Sunday. Hume travelled to George Andrews Reserve to meet the Thunder back in Round 9, with the home side running out 3-0 victors thanks to a brace from Theodore Markelis and one from Brandon Barnes. The win saw the Thunder finish the round in 7th place, the same position they find themselves in going into this game. The loss resigned Hume to a place in the automatic relegation places, sitting second from bottom with just five points after nine games. Hume’s form has picked up since the Round 9 clash with the arrivals of some key signings helping the side lift themselves out of the relegation zone. But City are far from safety; they sit just one point ahead of Kingston City, who are the current occupants of the relegation playoff position. Hume went down fighting against South Melborune last week, creating more clear-cut chances than their opponents but failing to punish South when they got into great goalscoring positions. 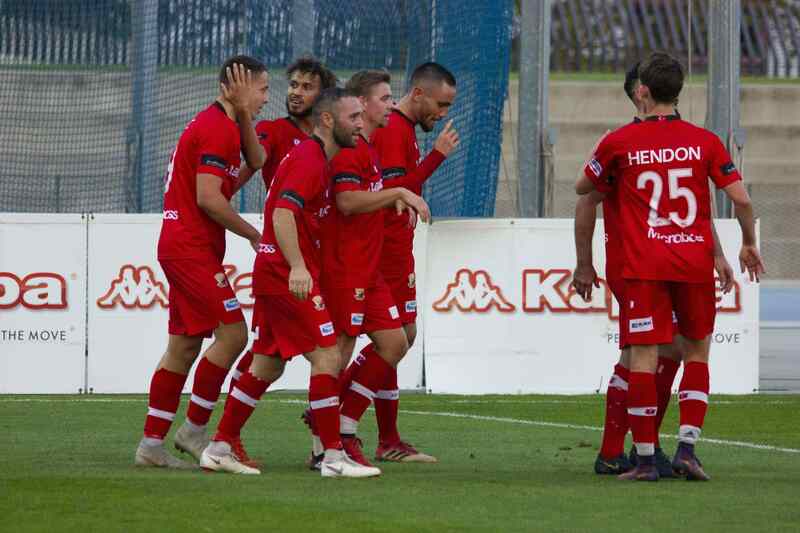 While they may have not taken any points home from Lakeside Stadium, they will have gained immense confidence from the performance and the mass number of chances created. The Thunder have been indifferent in recent weeks, winning three of their last five games, but only one of their last three. Their last two wins have both ended in 4-1 score-lines, while their last two losses have both ended 1-0. As these results prove, the Thunder are a dangerous side when they’re allowed to get going, so Hume will be looking to start strongly and make their home-ground advantage count in the opening stages of the game. City will need to pinpoint weaknesses in a Thunder defence that has not kept a clean sheet since May. Dandenong’s last shutout was in a home 2-0 win against Melbourne Knights in Round 13. Thunder’s only clean sheet on the road this season came in Round 5 against Hume’s relegation rivals Kingston City. Hume meanwhile, have made a habit of low-scoring games in recent weeks, with three of their last four games finishing with three goals or loss, so they will be looking to contain Dandenong’s attack and be more clinical in front of goal than they were last Sunday. City are bound to take confidence from the fact that they have won their last two home games while keeping a clean sheet, and goalkeeper Michael Weier will be desperate to secure a hat-trick of clean sheets. The action kicks off at 7pm from ABD Stadium.